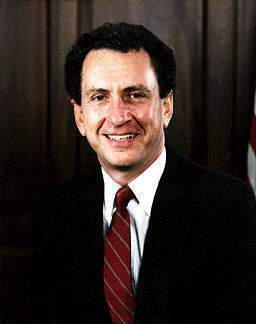 Senator Arlen Specter went from mildly obxnious to downright disgusting and objectionable yesterday when he had the audacity to suggest that the cruise missile attack on a chemical weapons plant in Sudan and a terrorist training camp in Afghanistan was a ploy by the President to divert attention from the Monica Lewinsky scandal. This was nothing less than a denigration of the memories of the 12 Americans and 300 Africans who died last week in simultaneous attacks in Kenya and Tanzania, not to mention the 5,000 who were injured in these attacks. Sen. Arlen Specter (R-Pa.) said he, too, wonders about the timing - and noted the strike came the same day that news reports were quoting Clinton aides as eager for him to act presidential to distract from Sexgate. "I want to know more, especially the reason for doing it now," said Specter. "The president's current problems have to be on the minds of many people." I admit that there is doubt as to one point: These quotes are from the New York Post and, under the stewardship of Rupert Murdoch, the New York Post has become so virulent in its attacks on Clinton that it has become perhaps the world's most unreliable and untruthful newspaper. Nothing that the Post says on the subject of Clinton can be believed any more. Sen. Arlen Specter, R-Pa., was only slightly softer in questioning Clinton's air strikes in Afghanistan and the Sudan, insisting: "I'm not going to suggest ulterior motives," but adding, "I especially want to know the reason for doing it now. I want to know what the evidence was." 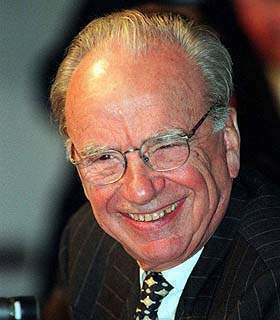 Rupert Murdoch, publisher of the New York Post, has been fabricating quotes and falsifying news to make Clinton look even worse than he is. Although these quotes are similar, there are significant differences. The New York Post seems to have rearrainged the quote and changed some of the words to make it more extreme. Meanwhile, our old friend, Albania, reports that it thwarted a similar bomb attack on the US Embassy there. International Celebrities call Ken Starr investigation "inquisitorial harassment by a fanatical prosecutor"